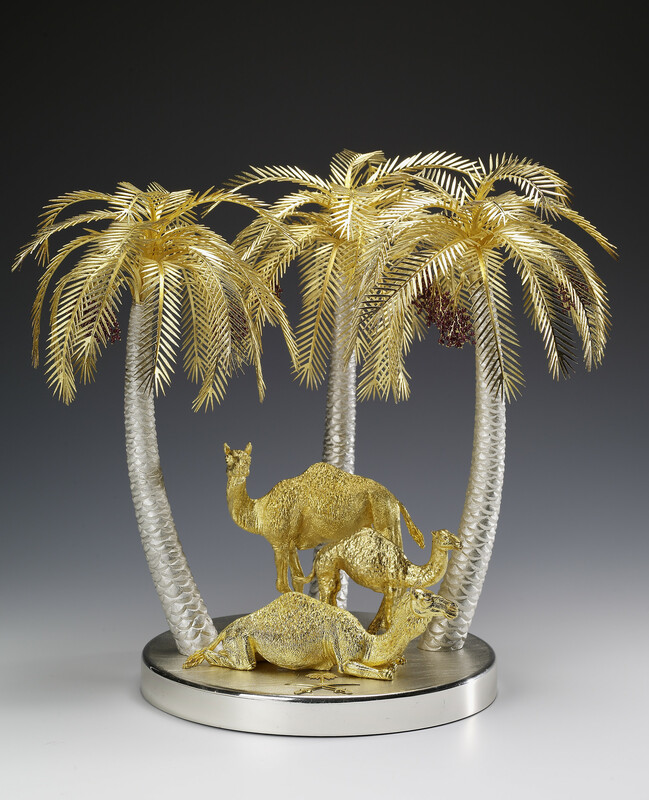 A white and yellow metal ornament of three camels and three palm trees with amethyst dates. on a white metal base with the Saudi coat of arms. Sits in a double door green presentation case with a white satin lining and brass loop handles and the Saudi coat of arms on box top.